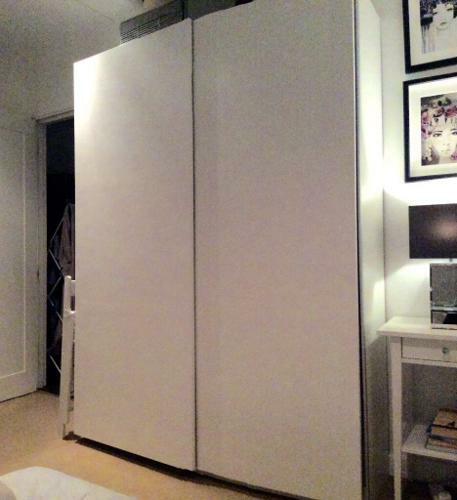 IKEA Pax Wardrobe Sliding Doors - White. Dimensions: W150cm X D44cm X H201cm. This is a slim wardrobe perfect for smaller spaces. 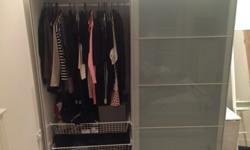 Includes all internal shelves, pull out clothes rails, and pull out baskets shown in photographs. Does not include personal contents! 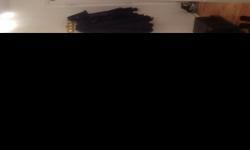 Owned 2 years so in used condition eg some small marks and top shelves have bowed slightly (see photos). 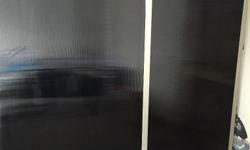 Sliding doors in perfect working order. Selling as changing to grey furniture. 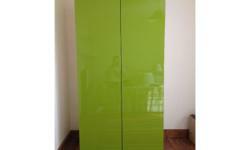 Quick sale needed as new wardrobe on way hence cheap price. NO OFFERS PLEASE! 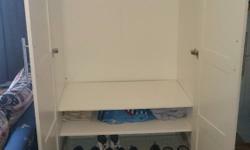 IKEA PAX WARDROBE 100X60X236 cm White £50. Must be collected and unassambled.